You'll be £8.00 closer to your next £10.00 credit when you purchase Voices From the Past: Britain's Wartime Evacuees. What's this? With the declaration of war in September 1939, the Government Evacuation Scheme was implemented, in which almost one and a half million civilians, mostly children, were evacuated from the British cities thought most likely to be the targets of aerial bombing. The fear of invasion the following year resulted in another mass evacuation from the coastal towns. Hundreds of thousands of school children, and mothers with babies and infants, were removed from their homes and families, and sent to live with strangers in distant rural areas and to entirely unfamiliar environments. Some children were also sent to countries of the Commonwealth, such as Canada and Australia. The evacuations had an enormous impact upon millions of individuals, both those that were evacuated and those that had to accommodate and care for the displaced multitude. 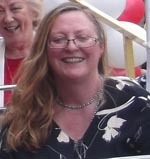 Over the course of eight years’ research Gillian Mawson has interviewed hundreds of evacuees from England, Northern Ireland, Scotland, Wales, Gibraltar and the Channel Islands. Families have also allowed her access to the testimony of those who have passed away. Coupled with the extensive newspaper coverage of the day and official documents Britain’s Wartime Evacuees provides not just a comprehensive study of the evacuations, but also relates some of the most moving and emotive stories of the Second World War. The Second World War saw the evacuation of thousands of schoolchildren, mothers with babies and infants, from areas thought likely to be bombed - 1½ million in all. They were sent to live with strangers in distant and rural areas and in environments totally unfamiliar to them - some had never even seen a cow! The rigid class differences of the time were highlighted by some of the children’s manners and behaviour. Some were used as cheap labour on farms, while others had an eye opening and happy experience. The author has interviewed hundreds of Second World War evacuees from all over Britain, and with additional research from contemporary newspapers and official document, she provides a comprehensive study of schoolchildren and mothers with babies and infants who were relocated as part of the governments policy of the time. The book includes personal stories from mothers and teachers who accompanied the children, from evacuees themselves who describe the experiences and emotions in coming to terms with new places and people, and from the foster parents who took them into their homes and families. They tell not only of life-changing and life-saving experiences but also of the tragedies of children who suffered cruelty or abuse. Gillian Mawson has spent eight years researching this subject, interviewing hundreds of evacuees from all parts of the United Kingdom, as well as the Channel Islands and Gibraltar. In this volume of Pen & Sword's Voices From The Past series, she skilfully blends narrative and these first-hands testimonies of lives impacted by evacuation, and her skill is in allowing these voices to be heard in depth, rather than attempting to paraphrase; it is the interviews that provide emotion. In her new book Britain's Wartime Evacuees, historian Gillian Mawson told myCornwall some intriguing and highly personal stories about evacuees living in Cornwall. World War 2 was the first war to include the widespread deliberate targeting of civilians, and particularly of children, anywhere in accessible enemy territory. Millions were evacuated from British cities to the greater safety of the countryside and the more remote areas. This large scale movement of people is reviewed in this study, using the voices of those who were there. The stories in this book are extremely emotive with tears and laughter, joy and heartache in equal measure. Every evacuee's experience was different, but it had a huge impact on their future lives. This is a thoroughly absorbing read and is highly recommended if your relative was an evacuee or a foster parent, of if you simply want to know more about the Second World War evacuation scheme. First, let me declare an interest; I was a Guernsey war-time evacuee at age 4 years. It is immediately apparent that this book is the result of extensive research. 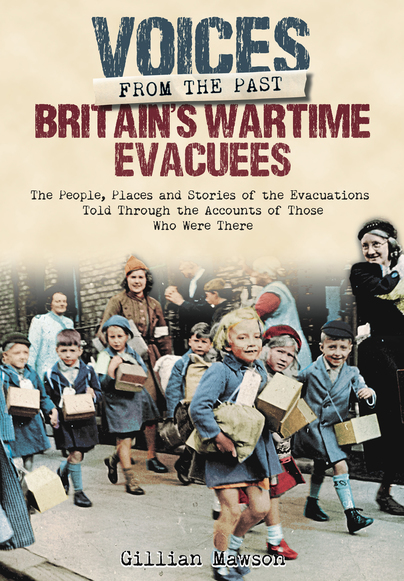 The recollections of evacuees are arranged in chapters with linking prose by the author. Each contribution is referenced with a sequential number with the contributor and source given in the notes at the end of the book. The work is well-written and gives a very good account of the many aspects of the huge organisational undertaking which was the evacuation of mainly children from perceived dangerous areas of Great Britain, the Channel Islands and Gibraltar. It does not shrink from reporting where problems were experienced; for the evacuees, their relatives, and for those charged with caring, supervising and fostering. It is apparent that many people found the switching of home life from one family to another and then back again a traumatic experience. Some suffered mentally, some physically and some materially. Others grew to love their wartime carers more than their own family, and some of these took up permanent residence with their carers after the war. It is clear that some evacuees remembered far more than others. Some names crop up in several chapters, with relatively lengthy stories. I marvel at this because I have only one recollection of my journey from home to a new address in Bolton; our ship passing a somewhat rusty “gun tower” at the entrance to the English harbour. Certain periods in my evacuation are blank, but this book gives me plenty of ideas as to what might have happened during those periods. All-in-all, this is a fascinating record of a difficult period in our history. I recommend it. Guest blog as featured on The House on Schellberg Street. This book tells the amazing story of the worlds biggest evacuation of people in WW2 Some stories are sad ,some happy. A must have for WW2 history.One of those books one does not want to put down. The author has brought to life the story of children sent away from parents to total strangers, in a different environment to their own. The book is a valuable account of the effect the evacuation had on children, parents and foster parents. I consider it is important that this book is read not only today, but the excellent comprehensive information it contains must always be available in libraries and will be essential for researchers in the future.